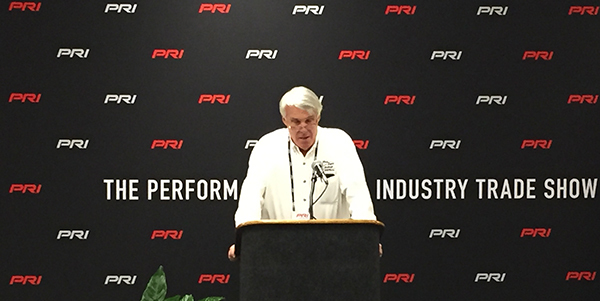 During the 2018 PRI Show in Indianapolis, Greg Finnigan of the Race Engine Challenge and Doug Kaufman of Engine Builder magazine announced that the Race Engine Challenge will return for its second year in 2019 from September 30 – October 4, in Charlotte, NC, and will once again be sponsored by VP Fuels and Lubricants. The inaugural American Iron 2-valve Shootout Race Engine Challenge, presented by VP Fuels and Lubricants, held October 2-6, 2018 in Charlotte, NC, featured 12 engine builders from across the United States putting their most creative builds against each other in a dyno racing competition. Following five days of competition, Greg Brown, Hammerhead Performance Engines, Snellville, GA, was crowned the victor of the 2018 Race Engine Challenge with a score of 1634 with his smallblock Ford Hemi. The five-day event featured multiple dyno runs per day on Tuesday, Wednesday, Thursday and Friday, with the two top engines battling each other on Saturday, as well as an interactive technical conference for participants and guests. 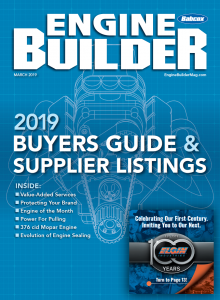 Engine Builder magazine is the official media partner of the Race Engine Challenge. 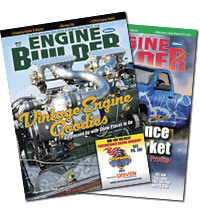 Look for more information about the contest and all the competitors in the future issues of Engine Builder.